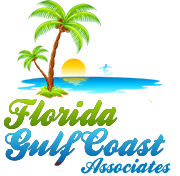 Florida Gulf Coast Associates was founded to provide a positive, professionally orchestrated real estate experience, custom tailored to meet the individual needs of our clients (both buyers and sellers) in the Tampa Bay area. Of course, the very latest technology tools the real estate industry has to offer are always at our clients’ fingertips! Florida Gulf Coast Associates puts clients first by being easily accessible and responding quickly to clients’ needs utilizing highly effective communication and negotiation skills as well as in-depth knowledge of the local real estate market including Tampa, St. Petersburg, and Clearwater. With numerous years of experience guiding homeowners through both the buying and selling processes, we are clearly able to provide our clients with expert advice, leading them through transactions in today’s challenging real estate market.